Band In A Box: BIAB is an excellent product for helping compose songs and instrument parts. You can also use it to play along with for practice purposes. It's an invaluable tool for guitarists like myself - I use BIAB mainly to compose bass, keyboards, strings and brass parts. I export the results as a MIDI file to Sonar where I can easily alter and edit the parts as I want for my original songs. BIAB’s direct MIDI output, as with all MIDI data, will only be as realistic as the sound source you use to play that data, e.g. 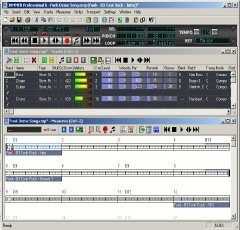 a hardware or software synth, although in recent years it has added real instrument sounds in the form of built-in audio samples, ‘RealTracks’, which you can use alongside or instead of MIDI. Successful, very well supported with regular updates and very active user forums. Easy to use. Anyone with only a little knowledge of computers and music can quickly create their very own songs or backing tracks. Type in some chords, choose and style and BIAB will compose the individual band parts. You can print a ‘leadsheet’ with notation, chords, guitar tab and lyrics to give a professional looking musical presentation of your songs. You can export songs as MIDI or WAV, e.g. to import to your DAW for more advanced work. Large and ever-growing library of impressive RealTracks. If your musical tastes only run to heavy rock and death metal then it won't help you much. There are hundreds of styles, but the bias is towards jazz and country and even ‘worship’. But there are quite a few usable pop and rock styles, and I find that the other styles can provide me with good bass or keyboard parts from time to time depending on the song I’m putting together. The user interface is tired and overdue for a re-vamp. The UK's leading music production magazine, Sound on Sound, dubbed Band In A Box "one of few music productions that sits in the must have category" and I agree. Check it out here. Jammer Pro is a similar tool to Band In A Box. 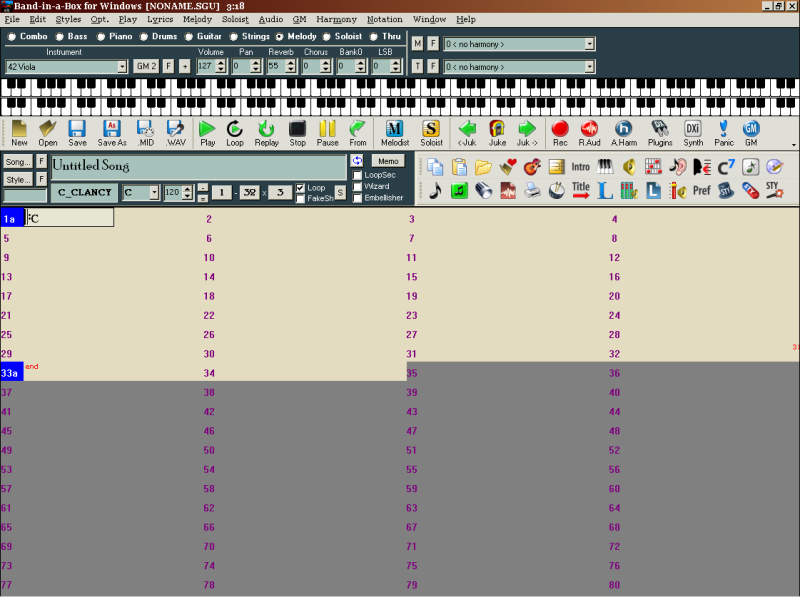 You type in chords to a grid, choose a style from a number of band and drum ones provided, and the program will compose, and recompose, to choice. A major advantage over BIAB is that you can have more than one output. For example, if you have an appropriate midi interface you can route drum data to a drum machine, some instruments to one synthesiser and some to another. Unfortunately Jammer Pro has not been as successful as Band In A Box and now seems to operate on a shoestring. Updates and new styles are very rarely published and there's no forum. 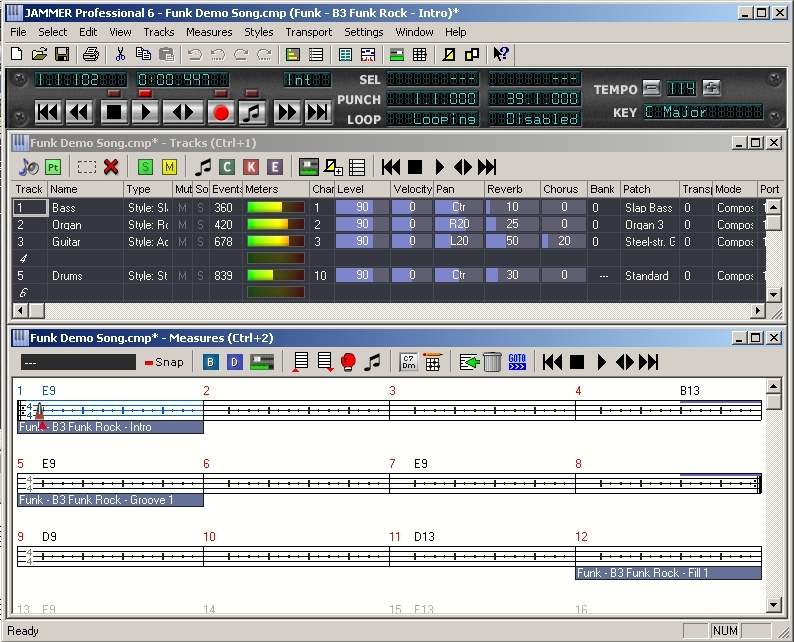 I prefer the screen layout in Jammer Pro and the final results always seem a little 'tighter' musically than in BIAB. The styles are a tad more modern also. It’s nevertheless a useful tool to have. Go here to learn more. 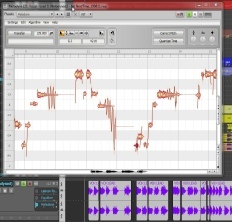 Melodyne: Many people have heard of Auto-tune, the proprietary name of Antares’ pitch correction software which used to be the recording industry’s ‘dirty little secret’. Melodyne is a very similar product. The plain fact is that pitch correction software is in universal use and can save time (and therefore money) in getting recordings right, usually by just making slight tweaks to an otherwise perfect vocal take. 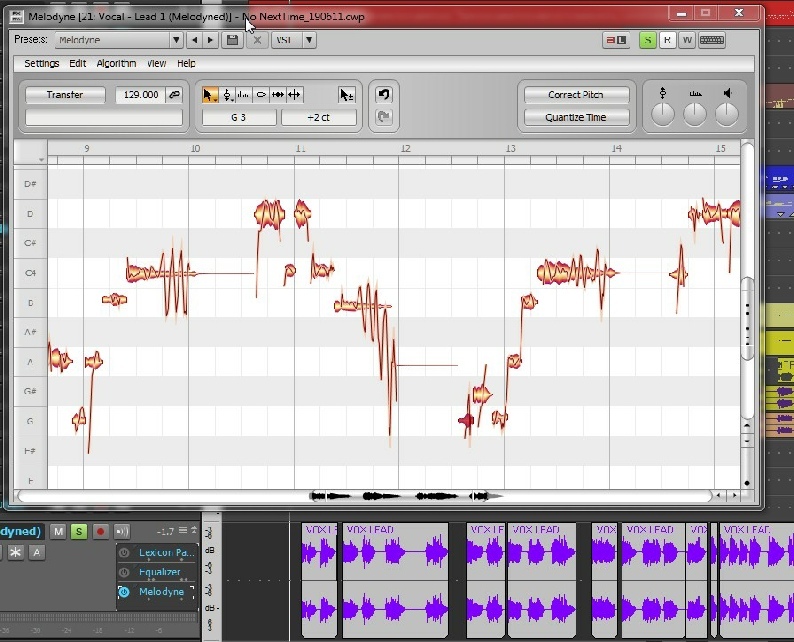 Melodyne can also now be used on polyphonic material (i.e. chords), which is amazing. I use Melodyne not only to correct the pitch of single notes (which appear as blobs in the program - see screenshot right), but also to shift their timing if needed. 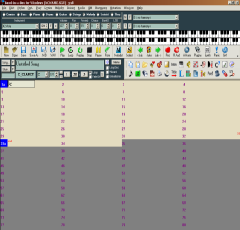 It can also be used to make harmony tracks by duplicating the lead vox track and using Melodyne to move notes on the second track to thirds, for example. You can get a demo version here. The only drawback I find with Melodyne as a plugin is that due to its complex algorithms I have to reset my audio buffers before using it to at least 2560 as opposed to my usual 256 or it freezes up, despite my having a very powerful PC. This high setting starts to affect playback timing little.